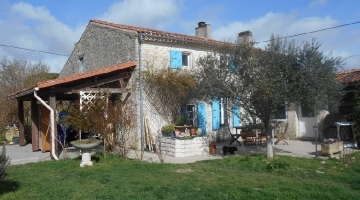 Beautiful, historic mansion from the 17th century perfectly located on south-side of the charming, medieval village Montpezat de Quercy. The house has in the past both been used for private use as well as professional purposes such as bed and breakfast, seminars, meetings etc. Boasting 450 m2 of living space, and being fully renovated over the past ten years with respect for the original details dating back 300 years, the house is nothing less than stunning. The two living rooms have 4,5 meter high ceilings and open fireplaces with original cast iron plate featuring the cote of armor of the first owner - the Duke of Gascogne. Each of the 7 bedrooms have en-suite bathrooms and while some have fireplaces others have original stucco. 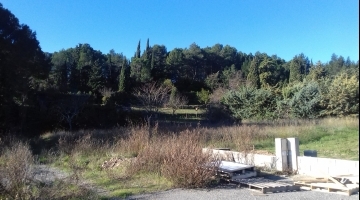 The house has a large kitchen with a 5 burner gas stove, lots of cupboard space and all modern amenities required for a Bed and Breakfast or an ambitious housewife/husband. In the secluded garden is a saltwater pool and several terraces all boasting stunning views over the hilly landscape. In addition, the downstairs area has a conference room, a small gym, laundry room (with washer and dryer) and a utility room currently used as workshop, storage and wine cellar. 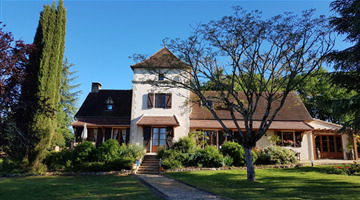 The mansion is located in Montpezat de Quercy which is a small medieval city that has the rare combination of being local, tranquil and exceptionally idyllic while also being a place with several festivals, a local market every Saturday, the occasional flea market. a handful of galleries, restaurants, bars and cafes. The surrounding area is a combination of sunflower fields, apple orchards and vineyards as well as small villages each with its own charm, festivals and cultural events. There are several local farms that sell their produce directly at the front door. Nearest cities are Cahors (30 mins), Mountaban (30 mins) and Caussade (10 mins). The nearest airport is Toulouse which is one hour by car.